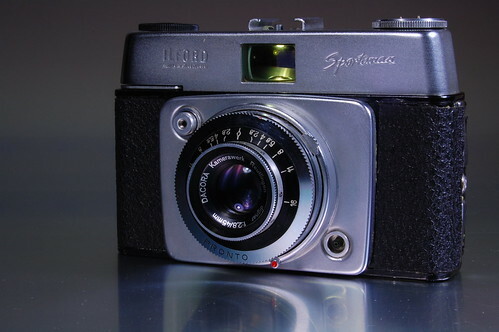 Sportsman original is a series of 35mm film viewfinder or rangefinder cameras made by Dacora for Ilford and introduced 1957 to 1959. 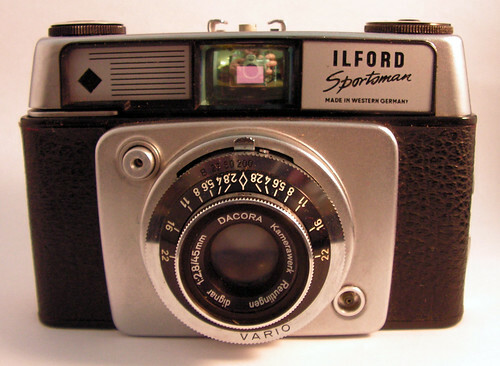 There are 4 styles (versions) of the original Sportsman camera. See also the article Ilford Sportsman series. 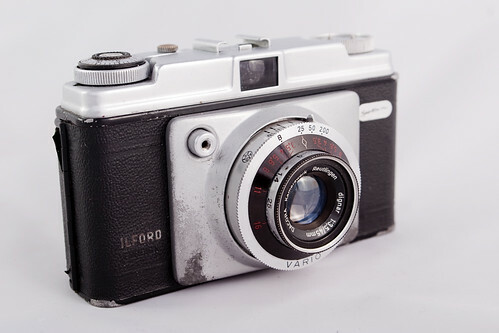 Shutter: Vario 3-speed 1/25-1/50-1/200 + B w/ X flash sync. Shutter: Pronto 4-speeded 1/30-1/250 +B and X flash sync.